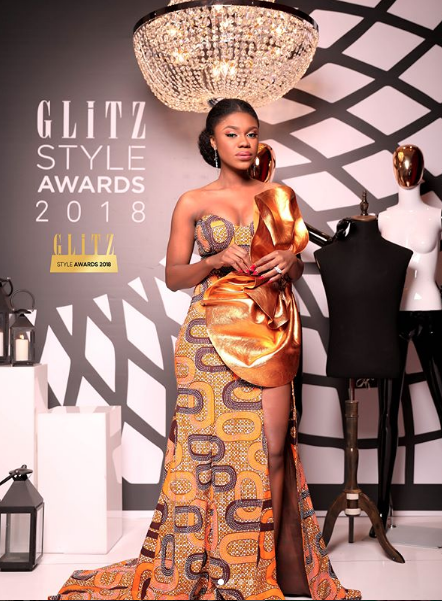 The 2018 edition of the Glitz Style Awards came off in a colourful ceremony on September 1, 2018. Ghanaian singer and songwriter, Rebecca Akosua Acheampomaa Acheampong, popularly known as Becca, did not disappoint in what she wore to the event. Becca, who recently tied the knot with Nigerian entertainment guru, Tobi Sanni Daniel, looked fab in her dress made by Yartelgh. Becca stole the bragging rights from KiDi and Amaarae—as the Artiste of the Year at the 2018 edition of the event.